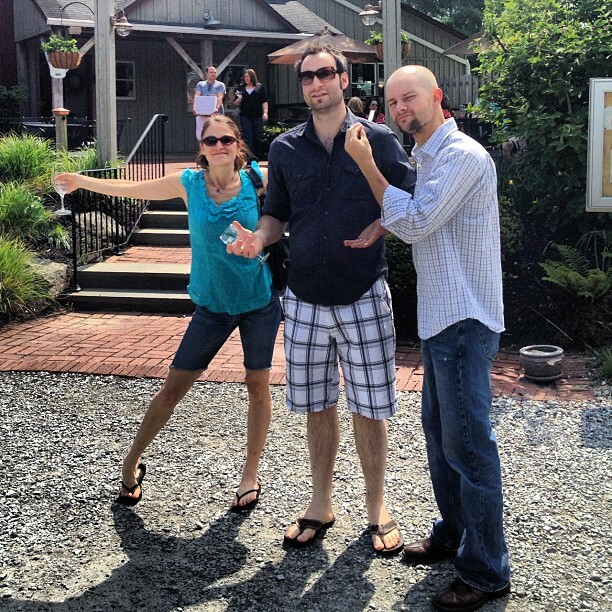 My friends and I meandered over to Chadds Ford, PA for a little fun and a wine tasting. Seeing as I’m going completely local in just over a month, I need to start nailing down where I’m going to get the necessities, like wine. I don’t take myself too seriously, but there’s always something very serious about wine. Tasting wine is an event, an experience. It even comes with its own vocabulary. My friends and I decided words like complexity, oaky, tannic, nose, and balanced acidity are invaluable at a wine tasting. We used them a lot. 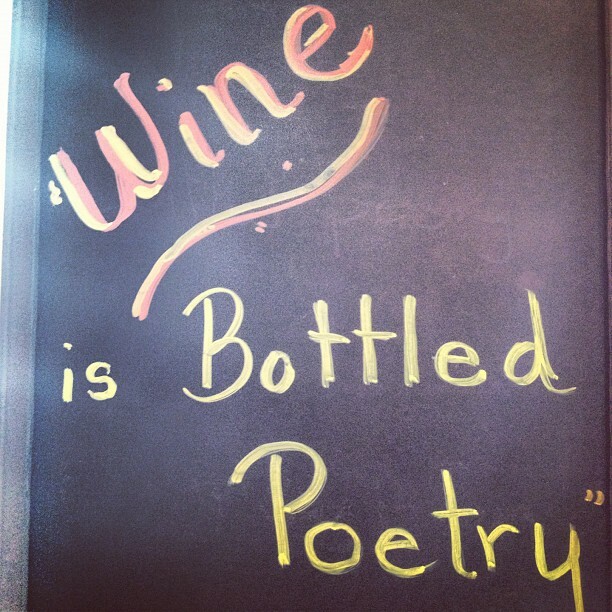 When I saw this sign stating, “Wine is bottled poetry,” I giggled. I’m not sure why. I guess that statement just seems so serious. Wine is at times, the best thing ever. I get it. But bottled poetry? 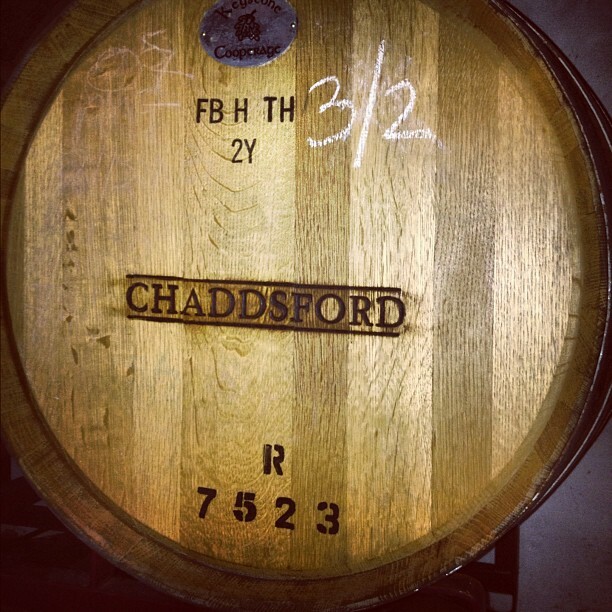 Prove it to me, Chaddsford Winery. For $10, you can taste six wines and take home a snazzy commemorative glass. For free, you can taste all of the sweet wines. We decided to do both. Dry wines first, in the bottling room of the winery. 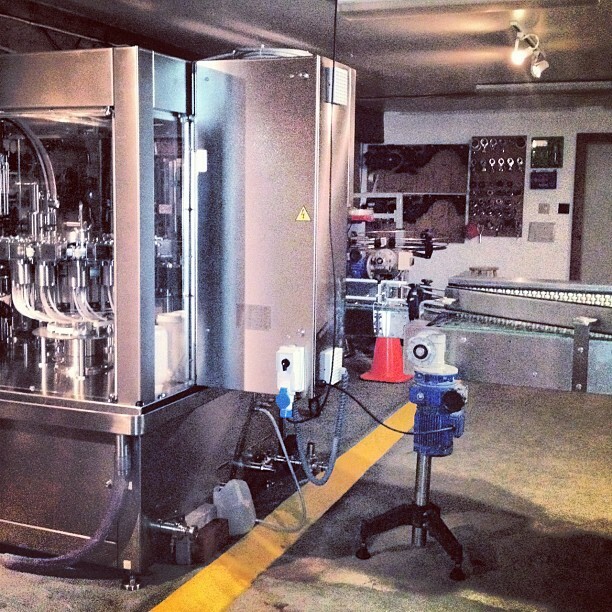 In order to get to the bottling room, you walk downstairs to the basement (excuse me, that’s the cellar, not the basement) and through the rows of large stainless steel wine tanks and oak wine barrels. The stainless steel is a striking contrast to the wood barrels and the Pennsylvania stone of the cellar. 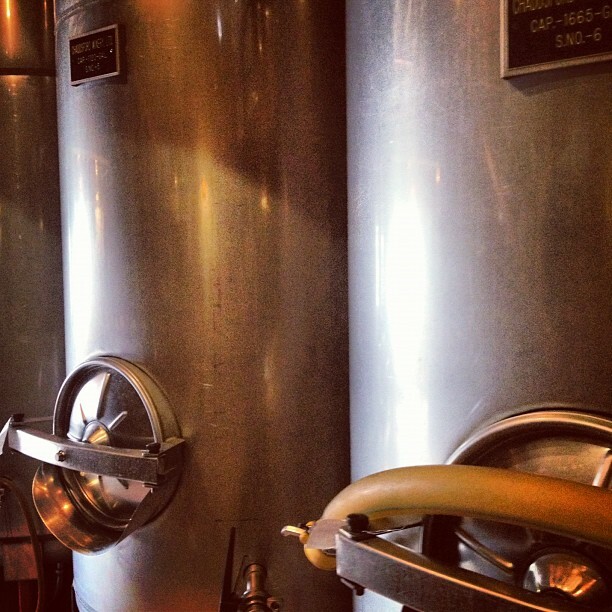 Stainless Steel Wine Tank. Made me want a giant glass. My friend Josh demonstrated “the slosh” by swirling the wine around the glass. He looked very classy and nonchalant while doing this. Then we tasted our choices using words like bouquet and smokey. The truth is, for all of our jokes, we really did mean what we said when tasting the wines. They WERE smokey or bright with balanced acidity. 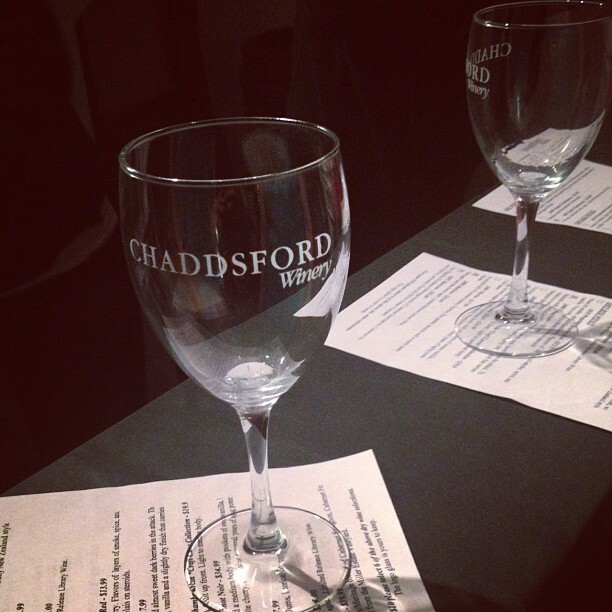 Chaddsford Winery makes good wine. I recommend the ’07 Merlot and ’09 Pinot Noir. I’m a red girl, so most of my choices were red. 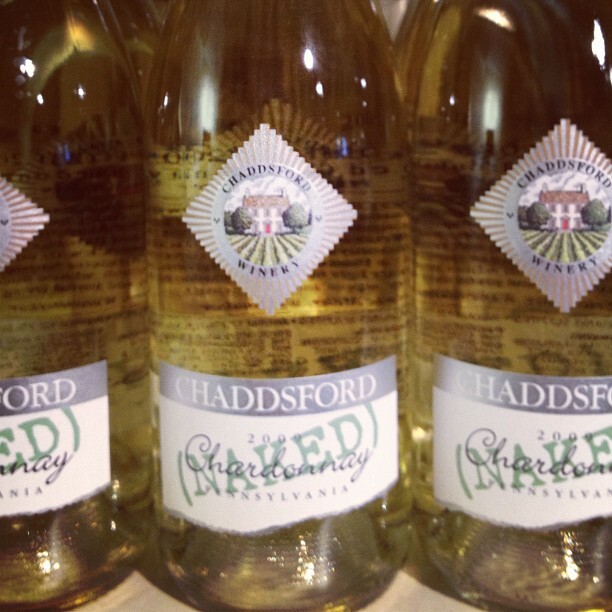 However, I enjoyed their Naked Chardonnay (no oak makes it naked), a steal at only $15.99 a bottle. So light and refreshing! 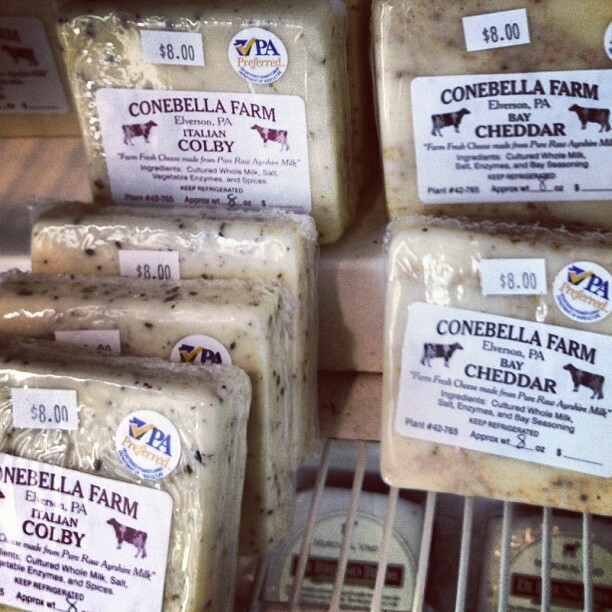 Perfect for a summer dinner al fresco. After the dry wines were tasted, it was time for dessert. Upstairs we went to taste the sweet wines. I’m not a fan of sweet wines, but I cannot turn down free wine in any form (see, the husband and I belong together). Overall, the sweet wines were just that. . .sweet. The Niagra, an award winner many times over, tasted like white grape juice with a little kick. The Sangri-la Sangria was cloyingly sweet with a watermelon Jolly Rancher finish. Not my favorite. The sweet wines found redemption in the Spiced Apple Wine. It was laced with cinnamon and tasted like hayrides, apple orchards, and pumpkin patches. This is the sweet wine to keep around during the holidays. I’m going to buy a bunch for Christmas gifts. 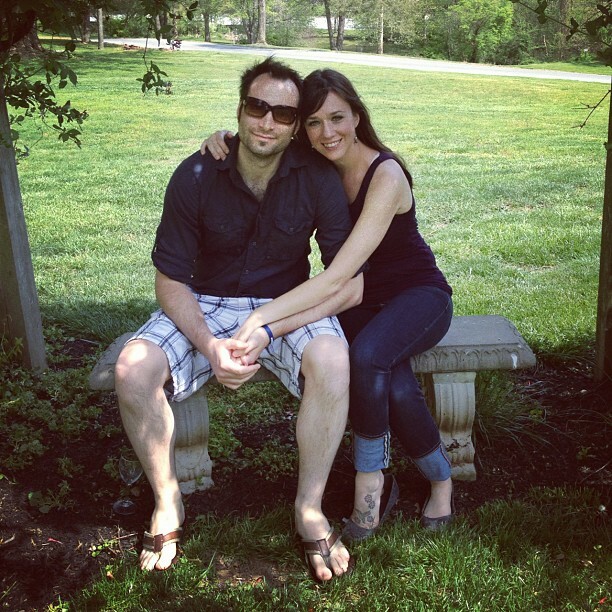 After tasting all that excellent wine, we took a walk around the grounds. 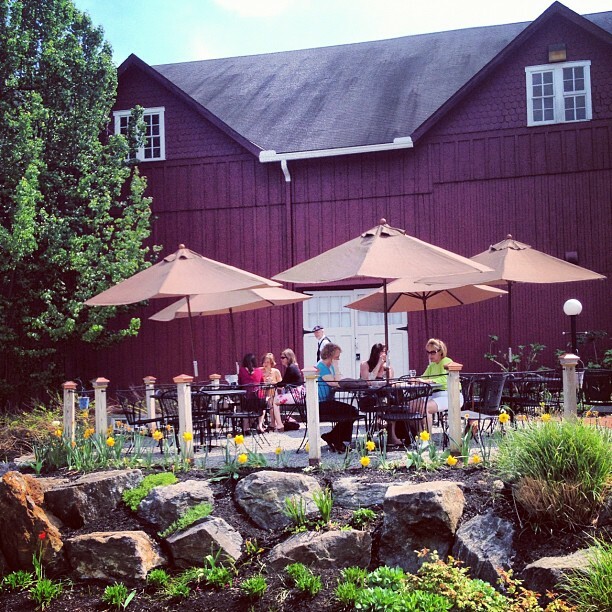 The winery is lovely, complete with outside patio where you can enjoy a bottle and snacks from the winery store, like local cheese. Out front is a cute little vineyard. 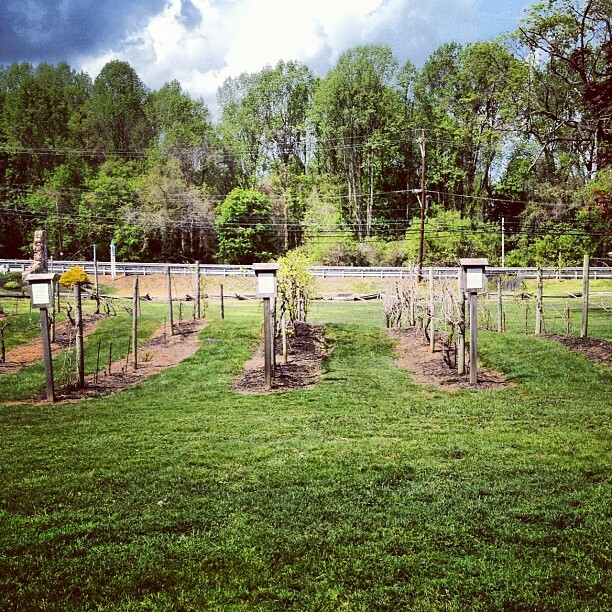 Each row marked with signs noting the kind of grape grown. 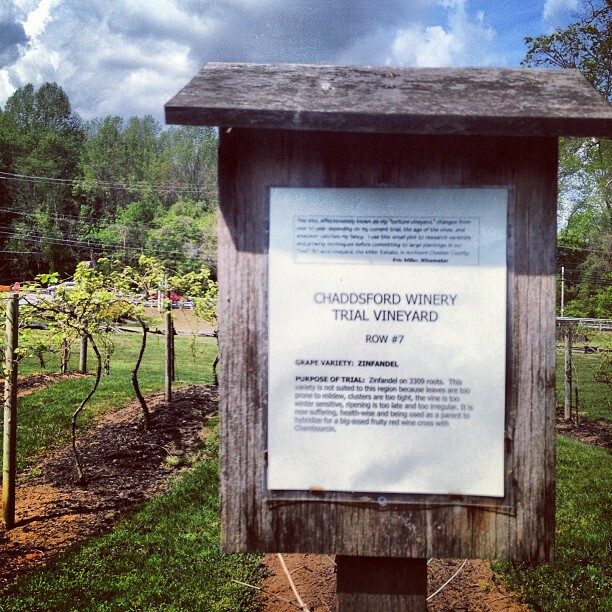 Chaddsford Winery has had their own vineyards in the past, but currently buys their grapes from local growers. 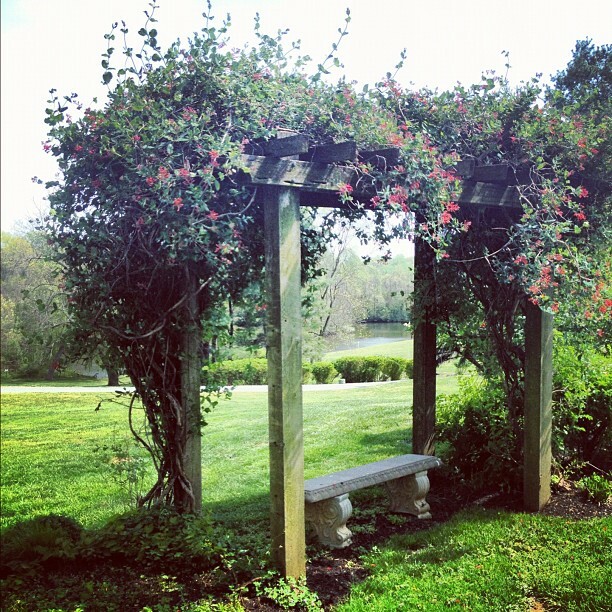 Not too far from the vineyard is the sweetest arbor. The bench beneath it cried out for a photo shoot. After some gratuitous photo taking we decided to head to an early dinner. 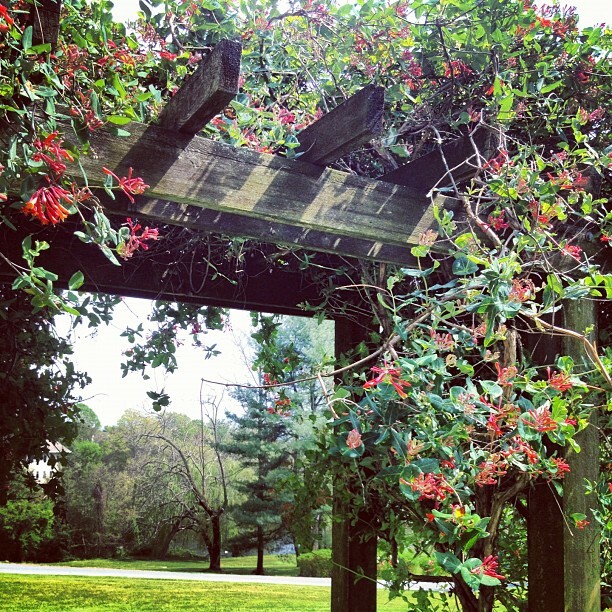 In keeping with the wine as poetry theme, I leave you with my very own haiku to the Chaddsford Winery (inspired by this guy). Nothing like a good haiku ; ) And I had better be one of the names in mind for the Christmas bottle! Ha! I’ve loved haikus ever since elementary school. 🙂 I shall buy you a bottle as well as a white, which I know is your favorite.